Manage your vehicle (U.S.) at buick.com. Click on "Owners," then "Manage My Buick/Owners Login." Information and services customized for your specific vehicle — all in one convenient place. • Digital owner manual, warranty information, and more. • Storage for online service and maintenance records. 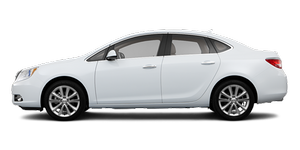 • Buick dealer locator for service nationwide. • Exclusive privileges and offers. • Recall notices for your specific vehicle. • OnStar and GM Cardmember Services Earnings summaries. • Chat live with online help representatives. • Use the Vehicle Tools section. • Access third party enthusiast sites and social media networks. • Locate owner resources such as lease-end, financing, and warranty information. • Retrieve your favorite articles, quizzes, tips and multimedia galleries organized into the Features and Auto Care Sections. • Download the owner manual for your vehicle, quickly and easily. • Find the Buick-recommended maintenance services for your vehicle.